Clint Westerly was a success until a fateful choice he makes tears his world all apart. Tanya Wilshire is broke but hell-bent on committing to her mother's final deathbed request. 84-year-old Seamus Harrington needs to right an ancient wrong before time runs out. 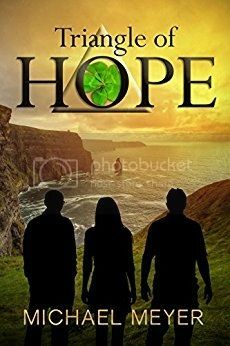 Filled with grit and determination, these three people with three different problems, an unlikely trio of unexpected allies, converge in a small Irish town to form a Triangle of Hope against all odds. Together they take a courageous stand that will forever change their world and that around them. His impending death hung in the air like thick smog, smothering everything in its path, obscuring a parade of ups and downs, the unevenness of thrills and chills that defined his life’s existence. It was eerie and scary, but also rather comforting, much like being in a warm bed on a cold night, like shivering while being filled with excitement at what was going to happen next. The news could very easily have been broadcast to those of his past and present, but he had made certain that all the speakers had been turned to mute. He had made the firm decision to meet his destiny without any chance of intervention by anyone. He was all alone in this, his final act. The hotel room was a bit dark with all the lights switched off, but outside the window the sky was as bright blue as Cinnamon’s eyes had been. At least that’s the way it looked to Clint Westerly. For some reason his mind had suddenly flashed on Cinnamon of all things. Cinnamon had been the perfect cat. Paul Newman eyes, he had called them, which sparkled in the sunlight and glistened in the dark. Such beautiful eyes. Such a wonderful cat. Such a pity that eighteen years was all the time he had had to frolic through the world. Cinnamon had been the perfect cat, the perfect companion. The little cat had been much more than a friend. He had actually been like a son to both him and Sheila. Anybody who knew them would surely concur. That’s just the way things were in their wonderful world. Their world. What a crock! What world? Everything gone now, vanished, disintegrated into thin air, the tiniest particles vaporized into non-existence. Not a remnant remaining except for the tortured thoughts brought about by that one memory that refused to disappear no matter how painfully the ever increasing toll that it took on his physical body and on his ever working brain, overwhelming him in the process, the remembrance bringing him to his knees, shutting out all other thoughts as well as the rest of the world. Darkness and clouds made up the present, and there would be no future. How could there be? Not with the ever painful memory tearing at his innards, wreaking havoc with the person he had once been. Obliterating the world he had once known. Snuffing out all that he had loved, all that had made up the world in which he had once so happily lived. He took a big swig from the large snifter of XO Remy Martin he held in his right hand, the cognac warming his throat at it snaked its way into his stomach, his left hand resting on the windowsill. There was so much beauty in the world. Just look at the trees gently blowing in the breeze. Look at how the leaves seem to glisten as they sway in the gentle breeze. See how the clouds out on the horizon take on the never-ending shapes of the imagination, slowly changing shapes and colors in an endless kaleidoscope of wondrous features, a galloping antelope, a smiling child, a mighty elm. All one had to do is look, and wonderful scenes could be seen and imagined, constantly evolving from one glorious image to the next. Remember the giggles of little tots’ faces, the tail wagging of puppies, the sound of rain on the roof, the softness of a newly made bed, the warmth of a fire on a winter night, the smell of coffee in the morning, the moonlit sky, a beautiful sunset, the sound of waves crashing against the shore, the first gulp of water on a thirsty day, the move-it-forward power of a smile from a total stranger. Yes, life could be so good…so why did it have to end this way? He had had it all, the most wonderful wife in the world, a job he loved, the house of their dreams, and the financial know-how that had provided them the opportunity to partake in the pleasures that good food, drink, and leisure activities of their own choosing afforded the most fortunate, which, of course they had been. Laughter had reigned in their little world. It had been dancing, prancing, and singing all the way, not caring who was looking or who saw. It just did not matter. All that mattered was that they had each other, and, of course, little Cinnamon. Michael Meyer is the author of mysteries, thrillers, humorous fiction, and non-fiction: Love and romance, laughter and tears, thrills and fears. 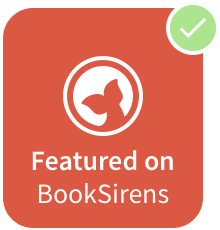 As a recent retiree from a forty-year career as a professor of writing, he now lives in Southern California wine country with his wife, Kitty, and their two adorable rescue cats. 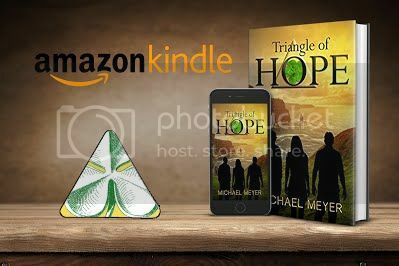 I am delighted that you are introducing your readers to my latest book, TRIANGLE OF HOPE. Thank you!